I decided to do a quick check-in to let you know where I am and that all is well, although there has been a major shift, which may surprise some of you and others, not at all. 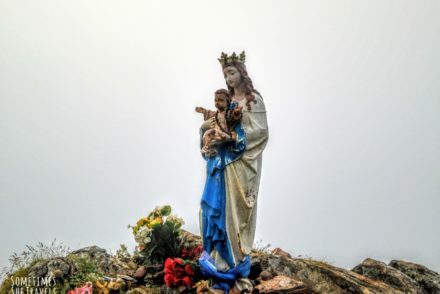 By the time I reached Castro, I knew the time had come to follow the longing in my heart, something I had been grappling with since starting the Camino del Norte. Every day on the Norte I thought, “Tomorrow it will be better,” but the love affair I had with the Francés from day 1 last year simply had not kicked in after 9 days. For some reason, to me it felt like more like a thru-hike than a pilgrimage. So, shortly after arriving in the beach resort city of Castro-Urdiales, I found myself saying goodbye to Jean and Patty, with whom I had been walking that day, then catching a bus to Bilbao, where I caught another bus to San Sebastián. On the way, I emailed a message to Orisson asking if there were any possibility of reserving a bed for the following night. Friends, more amazing still was that I heard back from Orisson two hours after sending the email and they were willing to reserve a space for me for the following night! Those of you who have booked with Orisson will be as shocked as I, I’m sure, to hear about the quick response time! So Istvan and Barbara picked me up, I spent the night with them, then began my walk from St. Jean for the second time. Although it is completely different than last year, when I walked the Camino for the first time, it’s been amazing it its own way. A lovely three hour dinner with Barbara and Istvan. 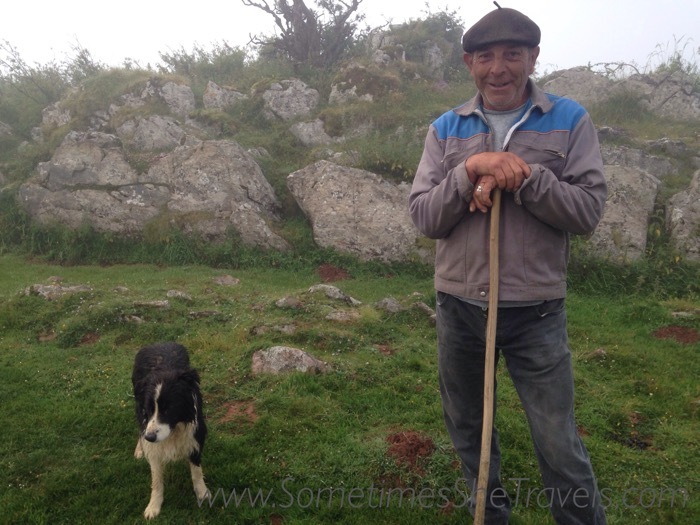 A shepherd guiding me through the heavy fog to see the Virgin of the Pyrenees. Meeting Neill and Catherine at the Abbey; Neill and I have been following each other’s journeys for some time on Facebook so it was fun to actually meet in person and see their beautiful project. Meeting Eladio, who has been reading my blog for some time now and who frequently provides wonderful information about the things about which I am posting. 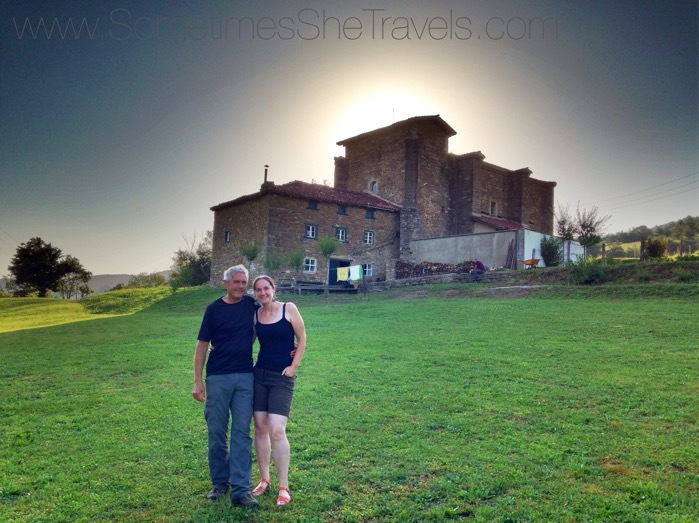 He and his daughter took me on a wonderful excursion in the mountains near Pamplona where they live. Being recognized as the Sometimes She Travels blogger twice; once at Roncesvalles and once at the Abbey. Taking a guided tour of Roncesvalles. 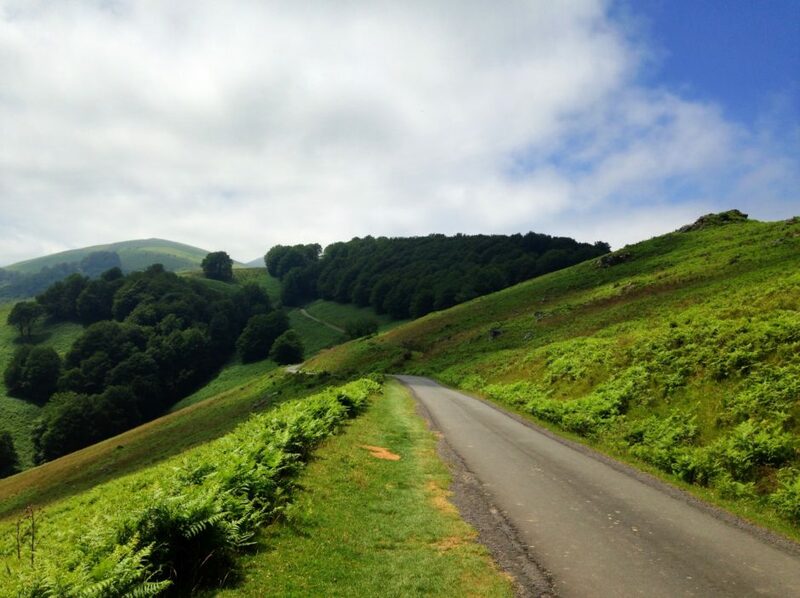 While the Camino del Norte was very beautiful and had much to offer, my heart was still, for some reason, on the Camino Francés. It would seem that I have some unfinished business here. The extreme heat wave in Europe has made it extremely challenging in a whole new way. It’s 97 degrees right now at 6pm and when I left the albergue in Zubiri this morning at 6:30, it was already very warm; about 75 degrees. But perhaps this is the universe doing for me what I wouldn’t choose to do for myself on my own; it’s forced me to slow down and do much shorter days than I did last year. Anyhow, today is Day Four on the Camino Francés, round 2. I am going to sign off for now to attend the mass at the tiny church where I am staying the night. Buen Camino everyone, wherever your path may be taking you! We follow the heart, always. The Camino Frances has it’s undeniable pull and magic. I am happy for you. As I am doing last minute things, just to keep busy, it is almost time to head to the airport. Tomorrow, I will land in Lisboa and see my very good friends Jose and Natercia. July 7, I will start walking from Porto. I too will know soon IF I need to go back to the CF. I too have unfinished things there… but for now, my heart is routed closer to Galicia, and who knows… our paths might cross in August. Buen Camino Ultreia. I definitely work on staying true to my heart but it doesn’t yet always come naturally to do so. I’m excited for you; what a wonderful adventure you have in store. I would love it if our paths were to cross over here. Buen Camino! Buen Camino Elissa! 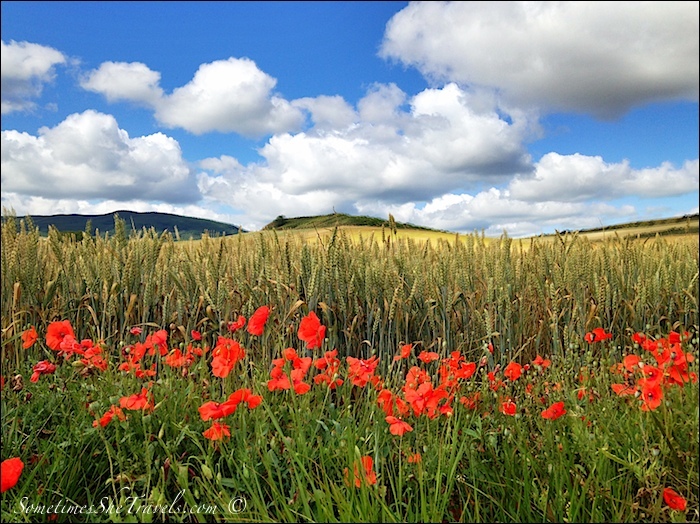 I can’t say that I am surprised that you’ve found your way back to the camino frances. 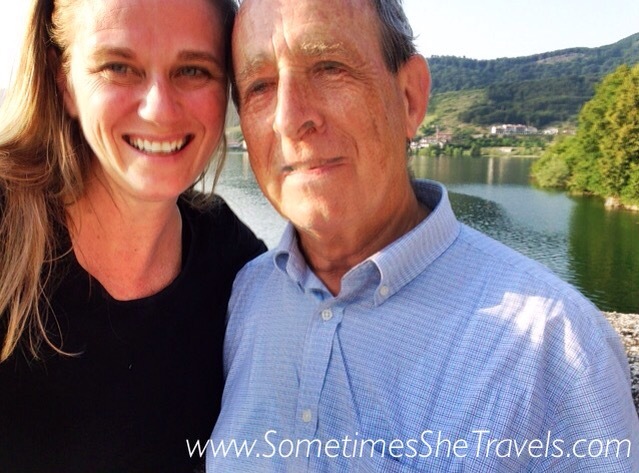 I hope you continue to have a wonderful camino experience. Thanks Kathleen. It’s definitely been a gift. 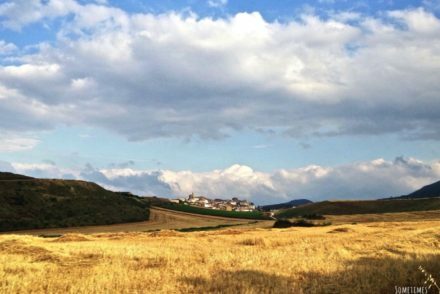 There is something about the Camino Francis that holds my heart, I have no interest in the other routes other than a mild curiosity. I look forward to returning next June for an extended visit of six weeks, maybe more. I look forward to your renewed journey. That’s interesting to hear, Mike, and I know there are many who feel the same. Six weeks sounds great. This is exciting and fascinating news! I’m so happy for you to be following your inner voice and it sounds like every this falling into place so well. I’m surprised you went all the way back to St. Jean and not somewhere closer to where you were on the Norte but it sounds like you want to do the entire Frances experience. I’m happy to get to read your new adventure on the Frances! Buen Camino! 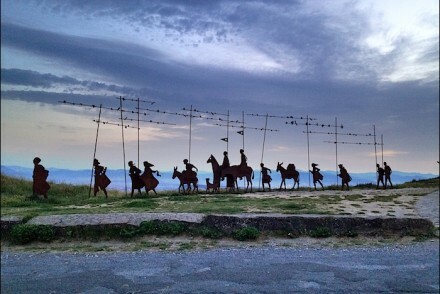 I thought about heading somewhere closer to where I was, Holly, but there were a few reasons I chose to return to St Jean, not the least of which was that I met some of my closest Camino friends last year at Orisson. But also, I absolutely love the mountain views between St J and Roncesvalles; they blow my mind! It took only a few hours to get from Castro to Corazon Puro and I also had the option of going through Bayonne (but couldn’t bear the thought of the unknown at that point; one of these days I will write a post about how difficult experiencing the unknown can be for me, lol). Thanks so much for reading, Holly, and I can’t tell you how much I appreciate your comments! 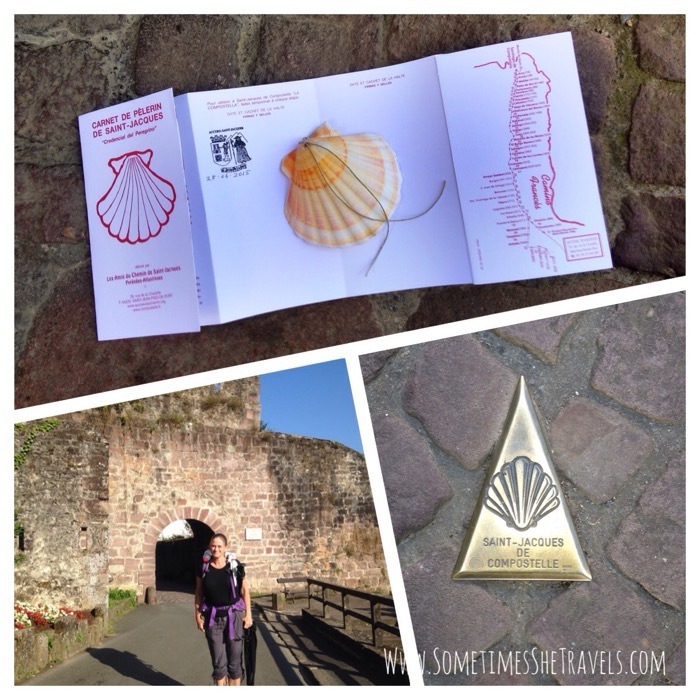 Wonderful, I guess that you were truly meant to be doing the Camino Frances! Happy for you!!! Buen Camino and go with the Flow! Hi Bonnie, Thanks so much! I am so happy to be back on the Francés. The views today between Cizur Menor and Zariquiegui made my heart sing! What a joyous reunion! Blessings on your walk over familiar paths. I’ll be in Leon in 58 days. Can’t wait. Donald, that is going to fly by! León is my favorite city on the Camino! Love to you, Elissa, from my writing retreat at the coast to your journey across Espana! Buen Camino! Thanks Jen and back at you. It sounds like you have accomplished a great deal on your book! 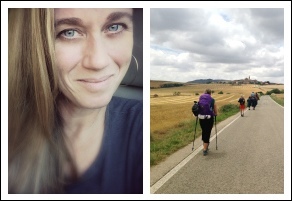 By the way, I have run into at least one person every day who is walking the Camino “backward”. I thought you might find that interesting. Good for you for following your heart and heading to SJPP! And what grace you found because of it! 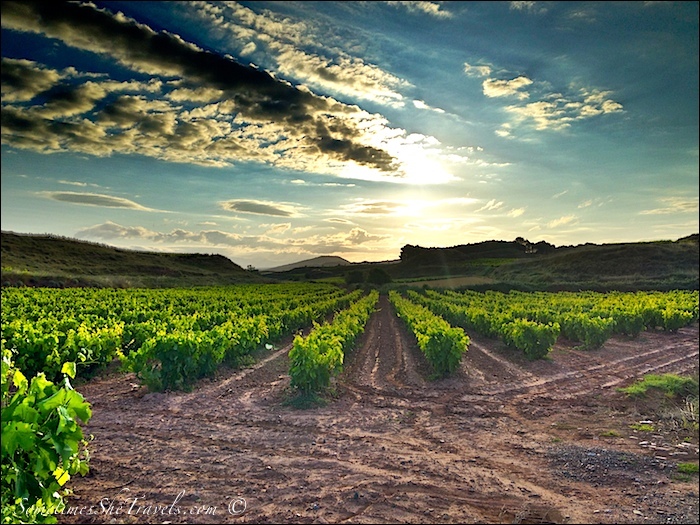 My dream is to start again and, like you, go slowly, and explore more fully that opening chapter of the Camino! Blessings! Thanks Mom! As you know from our phone conversation, it’s been eye-opening to say the least. What a wonderful story of the outcome of “Following your heart”! I am looking forward to the Camino and learning to overcome the fear of the unknown in following my heart! Thankyou for your post! Thank you for your sweet comment, Cathy!! It’s been a completely different journey than I ever could have imagined! Oh my, I just caught up with you. I am disappointed, only for myself, as I am doing the Primitivo in about 6 weeks. I am ecstatic for you, that your are following your heart. Yes, indeed, it does seem like you have unfinished business on the Frances. I am curious to discover, along with you, what that is! Buen Camino, my dear! 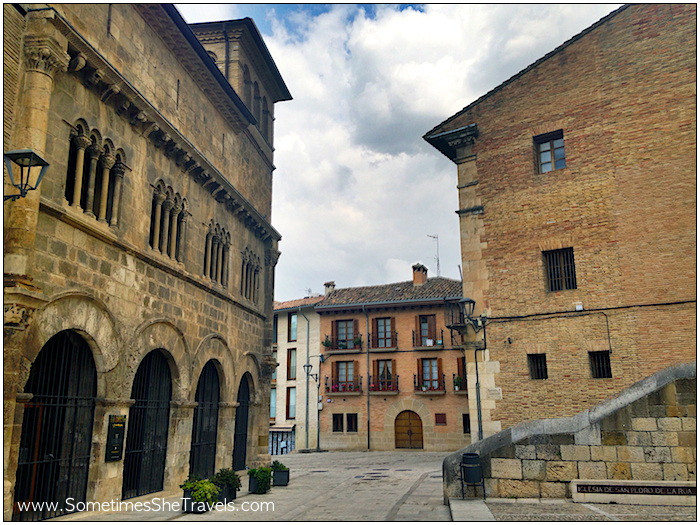 How strange to have seen your kind post to a young man trying to decide what direction to follow on the Caminos yesterday and then to find your blog tonight by googling “camino+introvert”. I’m enjoying the read and after a couple of years of planning and reading, will probably “pull the trigger” and buy those tickets to Madrid for September. Best wishes for the rest of your 2015 pilgrimage and I’ll check back. What wonderful synchronicity, Beth. Thank you for sharing that and for your kind wishes. I’d love to hear when you decide to pull the trigger!